Yes, I understand that this e-zine is largely Caribbean cruises based. 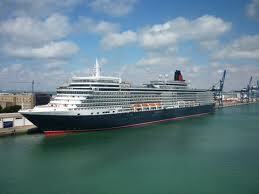 However, we have decided to expand somewhat to include cruises to other Fun Ship (Carnival) destinations. One of our newest pages at All-Inclusive Caribbean Cruises looks at Carnival Fun Ship cruises to the hotly desired New England frontier. Click here to read this page. 1. Carnival Adds a Third Ship the Galveston Cruise Port. Carnival does it again, providing prospective cruise passengers with more cruise space than any other cruise line. This time, Carnival adds a third ship to its itineraries from the Galveston Cruise Port. 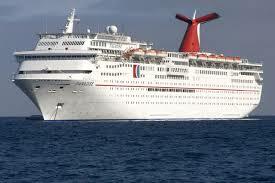 Starting in February 2015, Carnival Freedom will join Carnival Magic and Carnival Triumph in Galveston. Before its deployment, the Freedom will undergo a makeover to add Carnival 2.0, making it even more of a "Fun Ship." Carnival Freedom will offer 7-day year-round cruises from Galveston to the western Caribbean. 2. Royal Caribbean Speeds Up Internet at Sea. 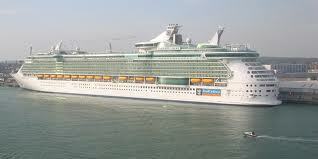 Royal Caribbean International is set to unveil the fastest internet service at sea. The cruise line will be adding this improved internet service first to Oasis of the Seas and then on its Quantum Class on ships. Royal Caribbean claims that this boost to its internet service will be "more internet bandwidth than every other cruise ship of every other cruise line in the world combined." And the passengers all say, "Amen!" A group cruise is comprised of at least 8 cabins (Carnival Cruises - varies with other cruise lines) with 2 or more passengers. Group cruise ideas: family reunions, employee appreciation, club or organization fundraiser, girlfriends' getaway, couples' retreat, church outing, etc. 1. Cruising with a group is much more fun than cruising alone. I have done both and really prefer sailing with a group. Furthermore, there are perks to be had when cruising as a group. We are excited to invite you to join us on a group cruise to Ocho Rios, Jamaica and Grand Cayman, Cayman Islands this October. Deposits are only $25/person and are due by May 10th. Final fares start at $413/person. Find all the details on what promises to be an exciting sailing this fall at: Annual Group Cruise. Here is something everyone loves - learning how to save a buck or two on their cruise vacation. If you want to cruise this year, and you do not have to go during the summer, plan to cruise during the fall months. Actually, you can plan to cruise from as early as August through early November. Cruise prices are the lowest during the fall. You will certainly save yourself a bundle. Before listing some cruise deals for June, I must tell you that there are some super cool savings currently available on last minute May cruises. Click here for May cruise savings! 1. Carnival Victory offers a 5-day itinerary from Miami on June 9th to Grand Turk, Half Moon Cay, and Nassau starting at $339/person (double occupancy). 2. Carnival Ecstasy offers a 4-day itinerary from Miami on June 2nd to Key West and Cozumel (with Carnival Live Concert) starting at $319/person (double occupancy). 3. Norwegian Sky offers a 4-day sailing from Miami on June 2nd to Freeport, Nassau and Great Stirrup Cay (Bahamas) starting at $329/person (double occupancy). 4. Royal Caribbean's Enchantment of the Seas offers a 4-day sailing from Port Canaveral on June 2nd to Coco Cay and Nassau starting at $409/person (double occupancy). 5. Royal Caribbean's Vision of the Seas has a 4-day itinerary from Ft. Lauderdale on June 19th to Cozumel starting at $349/person (double occupancy). The above offers are just a few of many June sailings. Click here for other June cruises. Book directly atPetesTravel.com or send us a Cruise Quote Request. Please note that we appreciate your continued support of our monthly e-zine and hope that something written here will make your cruise vacation a little better.